A few months ago, Mr. Baseball and I had the pleasure of visiting Chef Shangri-La, a Chinese restaurant in North Riverside in the western suburbs of Chicago. 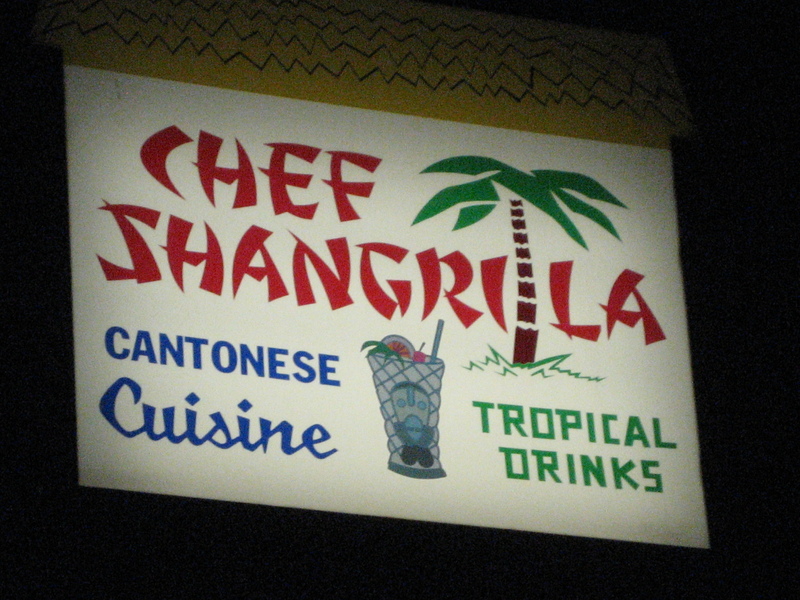 It was opened in 1976 by Paul Fong, a chef from a restaurant called Shangri-La (hence the name) who had also worked at the original Don the Beachcomber and Mai-Kai before that. Mr. 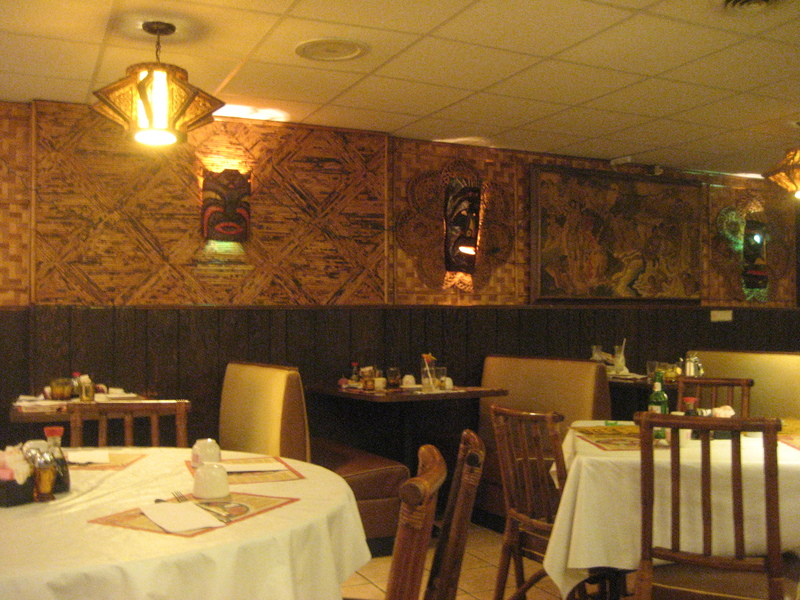 Baseball wanted to know how a Chinese restaurant could be tiki, so I explained that when Donn Beach opened his first Polynesian-themed restaurant in the 1930s, his chef was Chinese. 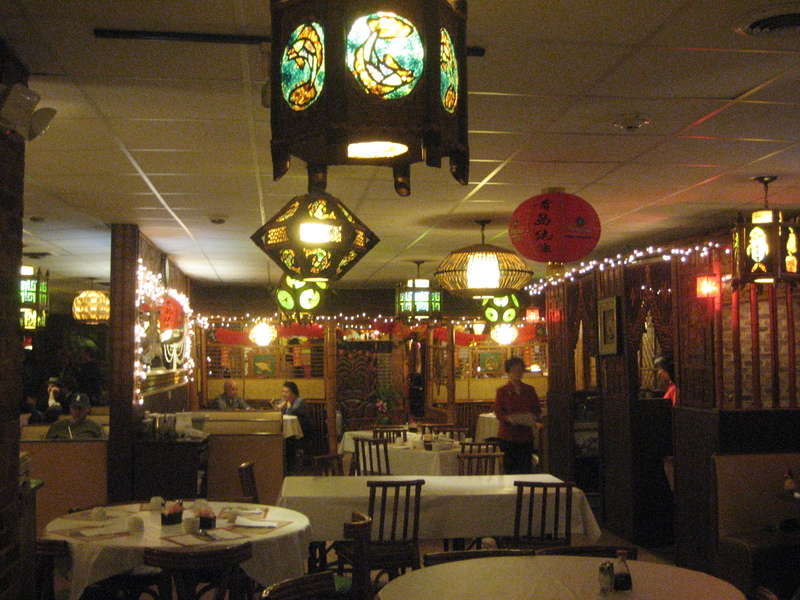 Cantonese cuisine seemed “exotic” enough for the time and it became popular with tiki spots. 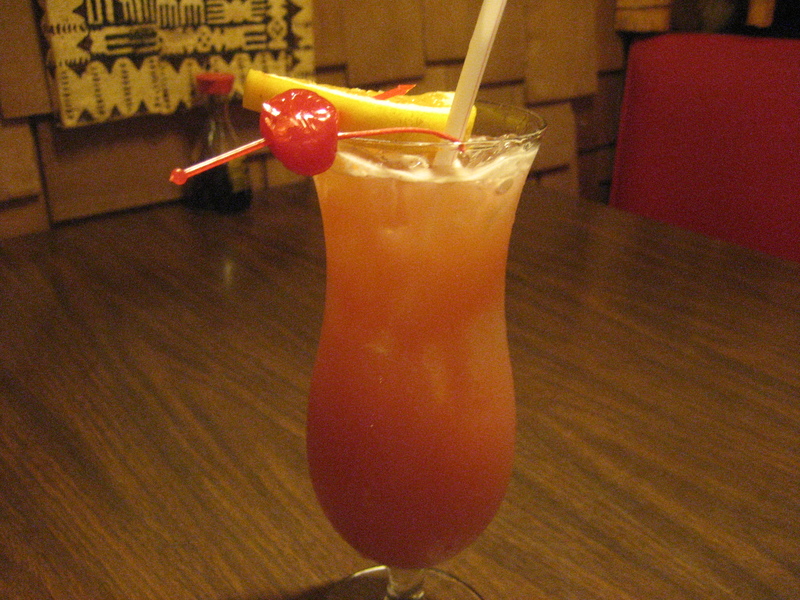 Likewise, Chinese restaurants around the country embraced the trend by adding tropical drinks to their menus. I love crab rangoon, but Mr. 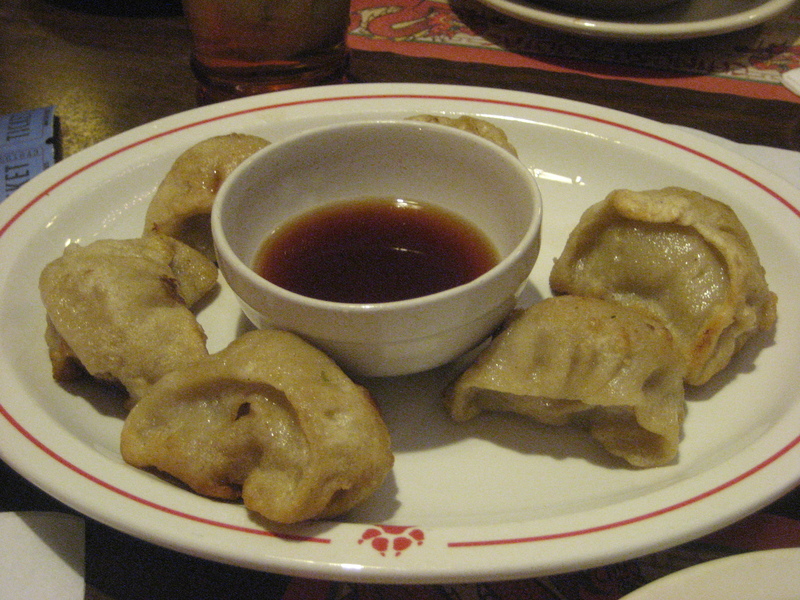 Baseball doesn’t like seafood so we started off with an order of potstickers ($5.50). 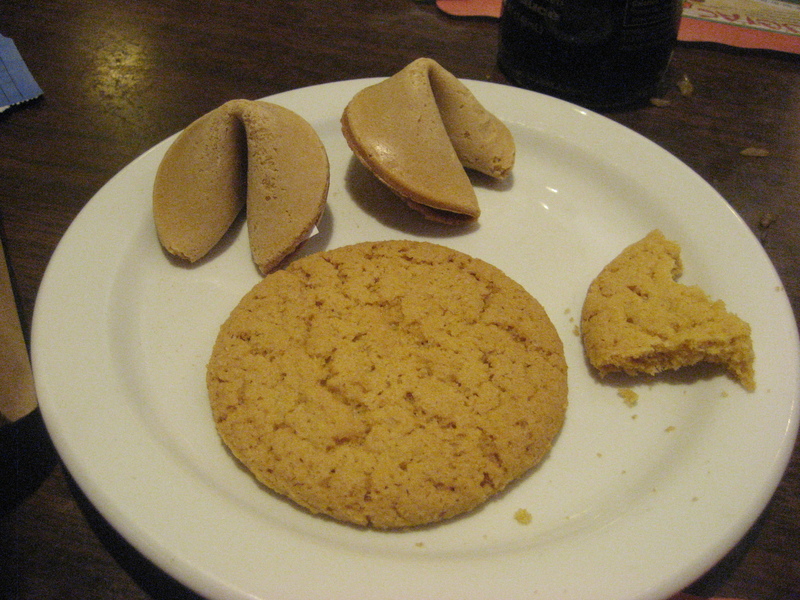 These suckers were huge! 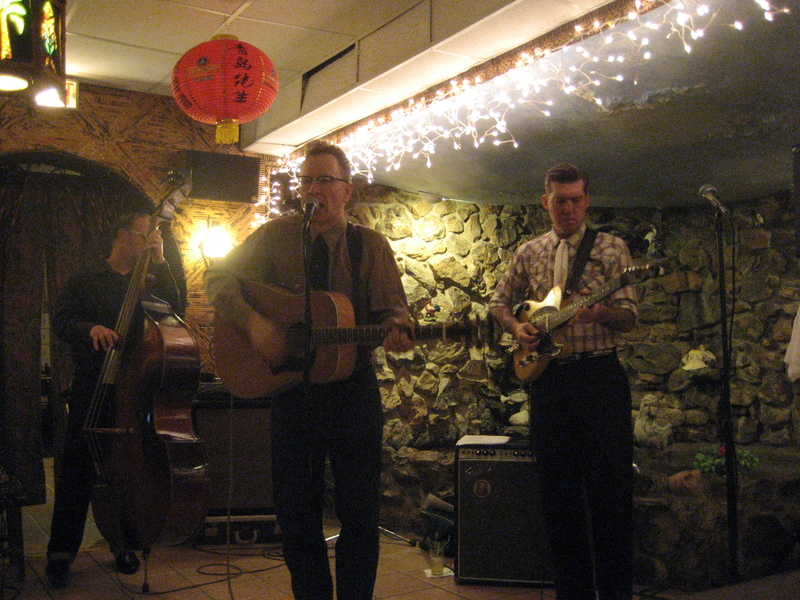 And it was a cold November night (I know, I’m trying to catch up) so Mr. 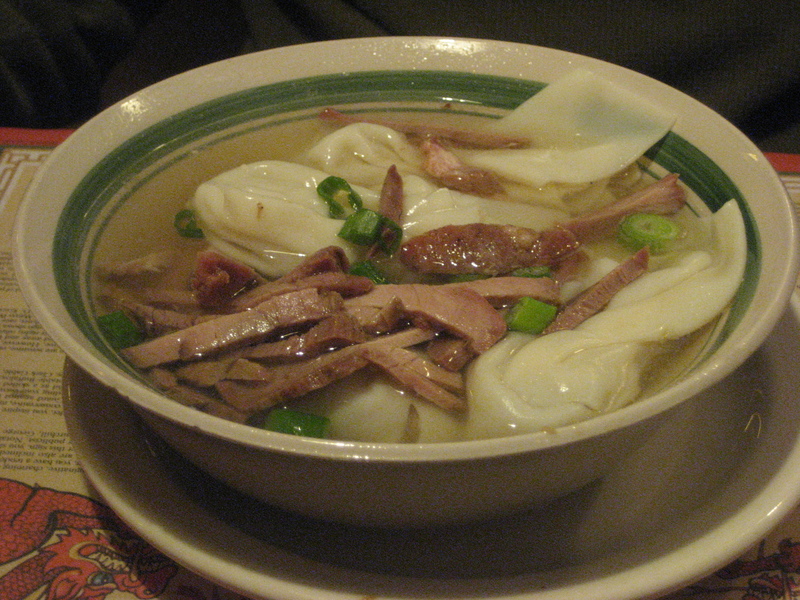 Baseball warmed up with a bowl of wontwon soup ($5.25). 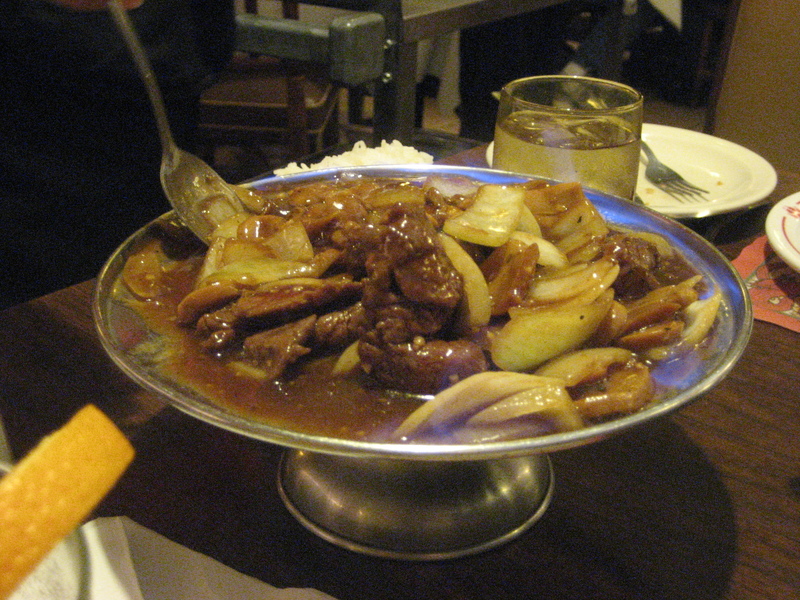 I was quite pleased when the “Volcano Beef” ($13.95) arrived at our table and it was ON FIRE. 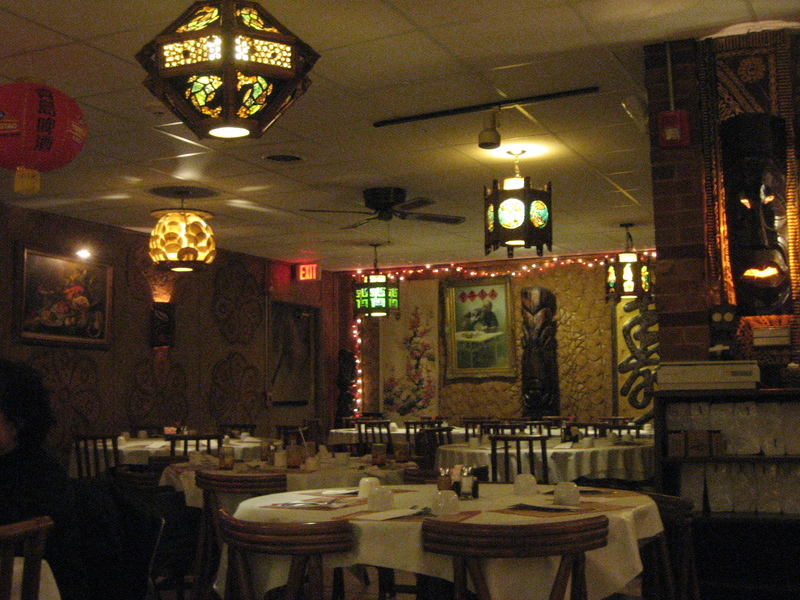 It wasn’t as pyrotechnic as the Flaming Ambrosia at Kowloon in Boston, but still a nice touch. 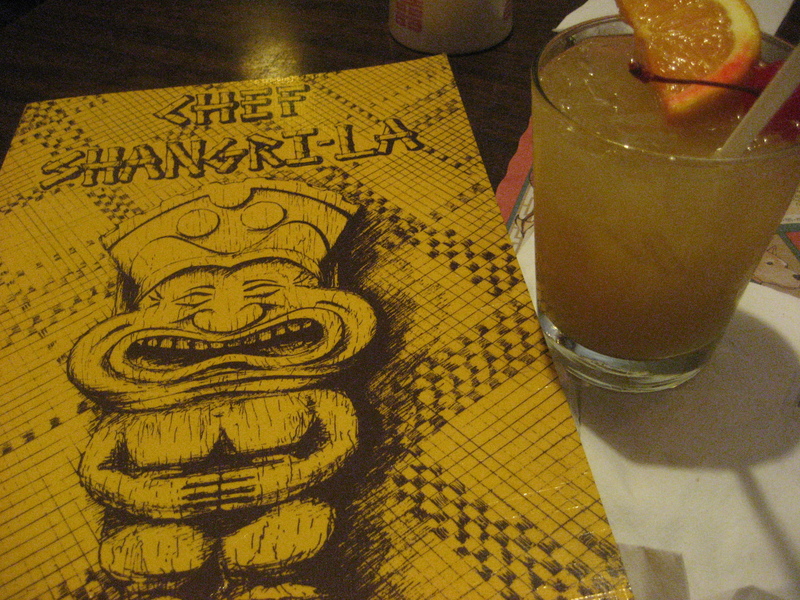 What also makes Chef Shangri-La stand out is that they serve their own original cocktails in addition to classic tiki drinks like the Fogcutter, Navy Grog, Scorpion and Mai Tai. For the first round, I went for their signature Dr. Fong (seen in the pic at the beginning of the post) but I preferred the Port of Love. After dinner, we went to the bustling bar area where there’s a few booths and a circular bar capped off with a thatched roof. I thought the drinks were pretty good for the price ($6.50 for small, $9.50 for large) and we had a ton of leftover food. It’s quite a trek from the north ‘burbs, but I’m looking forward to getting back to Chef Shangri-La again when I have the chance. That’s only about an hour and a half from where I live. I need to get down there! Thanks! I really need to get back there again.